Marukame Udon at 2310 Kuhio Avenue, in Honolulu, Hawaii. The noodles were cooked perfectly and had a chewy bouncy texture. I thought the regular portion was a good size and ended up being quite filling. The broth was light and had a slightly salty seafood flavour, but also tasted a bit sweet from the caramelized onions. The beef was pull-apart tender and full of flavour. I wish there was a bit more of it in the soup though. 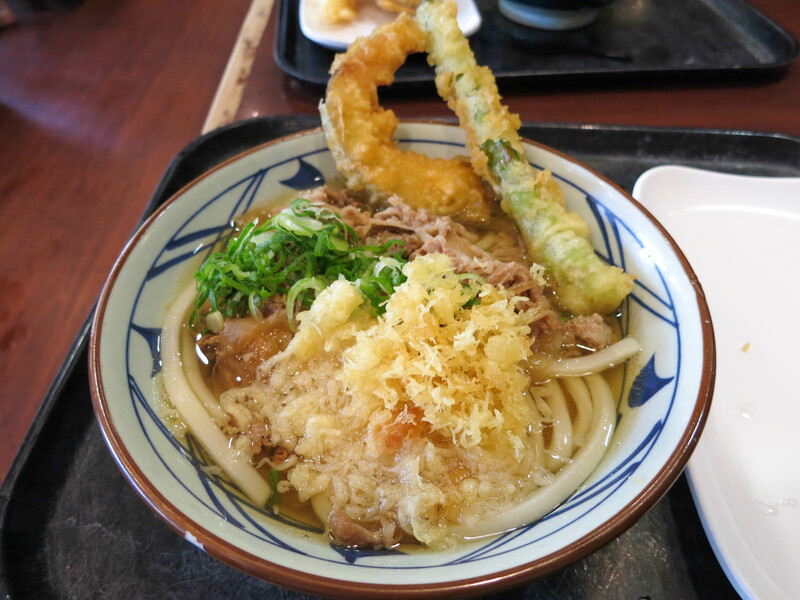 Marukame Udon makes amazing udon and is a must-do when you are visiting Oahu.